Attracting visitors to your e-commerce business can be a challenge. However, turning those visitors into buyers is even harder. That is why you need to take advantage of marketing strategies in order to get the desired results. One of the basic and most used marketing tools in online business is e-mail. It is an inevitable part of every e-commerce marketing strategy. But how can e-mails turn the visitors into buyers you ask? The following 5 strategies will give you some answers. Visitors need to feel special and appreciated if you want them to feel comfortable enough to make purchases. One of the ways to make that happen is to send a welcome e-mail. By doing this, you will show them that you take notice of each and every new customer. First impressions can be crucial in online business, especially since you don’t have the opportunity to charm people in person. You can also include concise information about special actions and discounts you have at that time. It may seem time-consuming, but don’t worry, you don’t have to personally write every single welcome e-mail. In this era of technology, there is a shortcut to everything including sending e-mails. There is no better day to make your visitor feel special than the day of their birthday. Mark their special dates and open your arms to new opportunities. One of the ideas you can take advantage of is to send them a happy birthday e-mail and offer them a free gift if they make a purchase on that day, or within several days after the big day. You can also send them an e-mail which will celebrate an anniversary of their subscription. Use the e-mails to show your buyers that their special dates are important to you too. How many times did it happen to you that you leave something in your cart while online shopping and just forget about it? It happens to all of us. This is where the e-mail strategy comes in handy. Use this tool to send them a reminder that they didn’t complete their shopping experience. Your timing should be after 6-48 hours after they have abandoned their cart. Try not to be aggressive. Form the e-mail in such a way that it looks like a friendly reminder. Like they have a personal assistant who is there for them and will help them to finish what they have started. Wouldn’t it be great if your buyers would have someone who could recommend the items according to their style? This strategy can make that happen. Based on their behavior on the site, you can find out what type of products do they like, which sizes do they need, how much do they usually spend per item, etc. By customizing the e-mails according to their preferences, the chances of them buying additional items will rise. 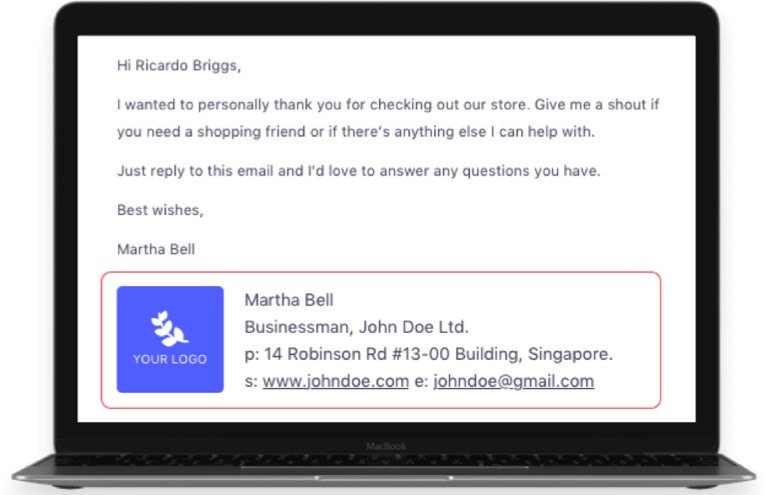 These e-mails can be sent from once a week to once a month, depending on the customers’ feedback and on your conclusion whether a certain customer responds to these e-mails or not. You need to use machine learning and big data in order to implement this strategy and tools like Mailbot can help you with that. Never underestimate the power of reviews. Visitors confidence to buy something of your website can largely depend on previous reviews. Even before they download your app (if you have one), they will go through the reviews. Not to mention that if they come across many negative reviews the chances that they will even decide to go for one purchase is close to zero. That is why you need to make sure that your website has positive feedback. Now you are probably wondering how can e-mails help you with this? E-mails are much much more personal than just a pop-up note after the purchase. If you refer directly to the buyer and ask them kindly to leave a feedback after their purchase, they will probably do so. Another great way to make sure that you will get some good reviews and also to encourage the further purchase is to offer them a discount on the next item if they make time to leave a kind comment about their experience. It’s a simple win-win situation. Even if your website has a rising number of visitors, without effective strategies it will be difficult to turn them into loyal customers. As opposed to some opinions that e-mail marketing is outdated, many marketing experts find them to be the key element in marketing. These proven marketing strategies will not only increase your purchases but will also get you loyal customers on which you can count on. Steven is an editor at Rated by Students. He graduated from Durham University and has an MA in Psychological Science. Besides doing his work as an editor, Steven has been applying his knowledge of psychology in order to further develop marketing strategies for online companies and wants to share his experience with a broader audience.